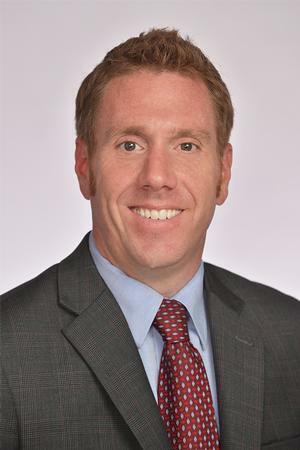 Bradley J. Foy, CFP® : Financial Planning - Wealth Management - Bassett, Dawson and Foy, Inc.
Brad began working at Bassett, Dawson & Foy Inc. in 1997 on a part-time basis while an undergraduate at the University of Delaware. After graduating with dual Bachelor of Arts degrees in Economics and Criminal Justice, he joined the practice full time in 1999. Brad became a CERTIFIED FINANCIAL PLANNER™ certificant in 2001. Certified Financial Planner Board of Standards Inc. owns the certification marks CFP®, CERTIFIED FINANCIAL PLANNER™, and CFP® in the U.S., which it awards to individuals who successfully complete CFP Board's initial and ongoing certification requirements. He has also earned the designation of Investment Management Consultant, which provides advisors with advanced knowledge and concepts commensurate with many high-level institutional money management consultants. While building his own practice, Brad assumed the practice of original founder Art Brosius in 2006, having worked closely with Art for seven years. Brad also works closely with Joe Bassett’s practice, which he will be taking over following Joe’s retirement in September of 2020. He was promoted to Vice President of Bassett, Dawson & Foy in 2007. Brad will become an adjunct Professor at his alma matter, University of Delaware, in the Spring of 2019 when he will begin teaching the Retirement Planning course to financial planning degree undergraduates. Brad has been a member of the Raymond James’ Executive Council in 2007, 2008, 2009, 2010, 2011, 2012, 2013, 2014, 2015, 2016, and 2017. Membership is based on prior fiscal year production. Re-qualification is required annually. "The ranking may not be representative of any one client's experience, is not an endorsement, and is not indicative of advisors future performance. No fee is paid in exchange for this award/rating." Brad is an active member of the following organizations: The Society of Financial Service Professionals (SFSP), the Financial Planning Association (FPA), The National Association of Insurance and Financial Advisors (NAIFA), and The Wilmington Tax Group. He currently serves on the board of the SFSP and is a past President of the organization for their calendar year 2016-2017. While focusing mainly on financial planning and asset allocation, Brad also employs tactical allocation with his clients that is designed to take advantage of current market trends. Brad is general (series 7) securities licensed and has obtained his fixed and variable annuity, disability, long term care, and life insurance licenses. He is a Registered Representative of Raymond James Financial Services, ICD Division. In his spare time, Brad enjoys playing soccer, attending concerts, traveling, watching sports and spending time with family and friends.